HALLOWEEN SCARY SALE IS ON! 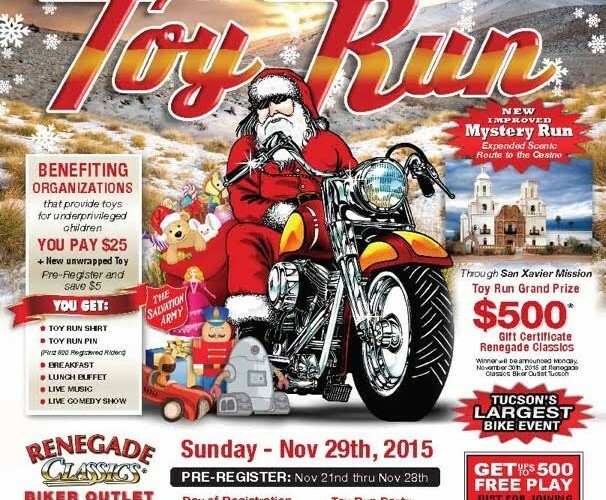 Here it is: Renegade's Annual Toy Run, 5th Edition, the largest Biker Event in Tucson (and probably Southern Arizona)! This year "Mystery Run" will bring us from the Renegade Classics parking lot to the Desert Diamond Casino in Sahuarita through the San Xavier Mission, a super scenic road. It's all for the underprivileged kids, so bring out the toys like you do each year, you'll make some happy children. 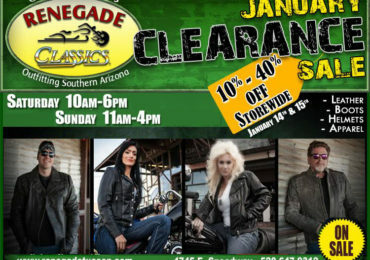 Pre-registration at the Renegade Classics Store, from Nov 21st to Nov 28th. 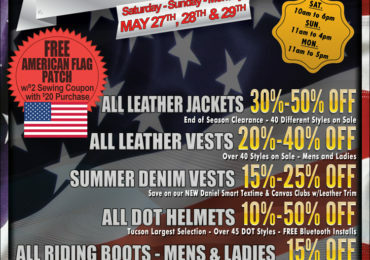 On the day of the event, registration will start at Renegade at 8 am and will end at 11 am. Last bike out at 11 am! 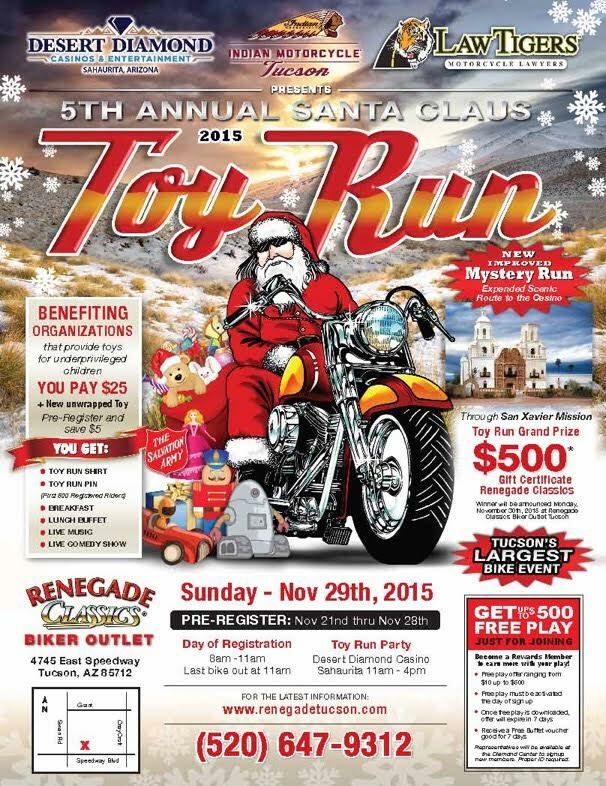 The Toy Run party will start at the Desert Diamond Casino at 11 am and will end at 4 pm. There will be live music, a live comedy show, food (breakfast and lunch buffet) and loads of good-hearted fun!